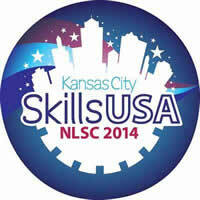 Congratulations to Marianna Crespin, the 2014 winner of the SkillsUSA National Pin Design Competition. She is a student at WarrenTech in Arvada, Colo. Her advisor is Scot Odendahl. Marianna will be recognized, along with her advisor at the Opening Ceremony of the National Leadership and Skills Conference in Kansas City, MO. Each of their high schools will receive $5,000 from Lowe’s Charitable and Educational Foundation for classroom and equipment improvements. Next Next post: Emily Little’s “Colorado Living” photo to be displayed in Washington, D.C.